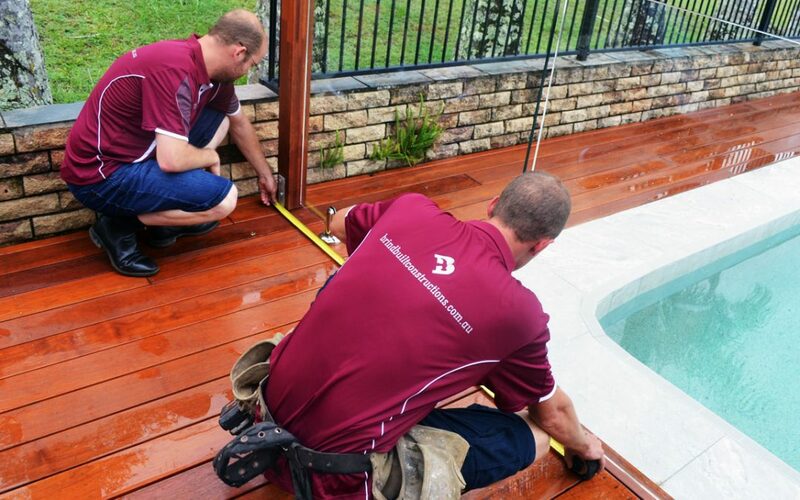 Brind Built Constructions specialises in custom house extensions, renovations, outdoor wooden decks, landscaping and adding value to your home! Headed up by Chris Brind (QBCC Licence 15059874) we are a small yet capable team of professionals whose goal is to make your renovation an easy process. Our team consists of draftsmen, builders, electricians, plumbers, landscapers and tilers. Having a multi-trade approach to your project means that we take all your problems and make them disappear. We understand that you are not a tradie and that organising different trades for your renovation can be a little daunting. Our reputation is being built as a company that takes care of the lot. We are about solutions not problems. Chris started out as a landscaper before qualifying as a builder. This means our strongest focus is creating unique outdoor areas that seamlessly open into your house. This suits our Queensland lifestyle. We all like a BBQ and entertaining friends – now you can do it in style! – you may just need a new deck or an ‘Urban Firepit’ (yes we just made that up!) or you may want us to add a rumpus room, knock down a wall, renovate your kitchen, build a massive sliding door, add an insulated outdoor roof, build a deck, throw in a pizza oven and do one of those ‘Urban Firepits’ too – we can do the lot. We make spaces for living and enjoying our Brisbane lifestyle to the fullest: all year around.